• As Far As There Was Water Was All It Was is an embodiment of the artist’s journey as an immigrant experiencing exile. 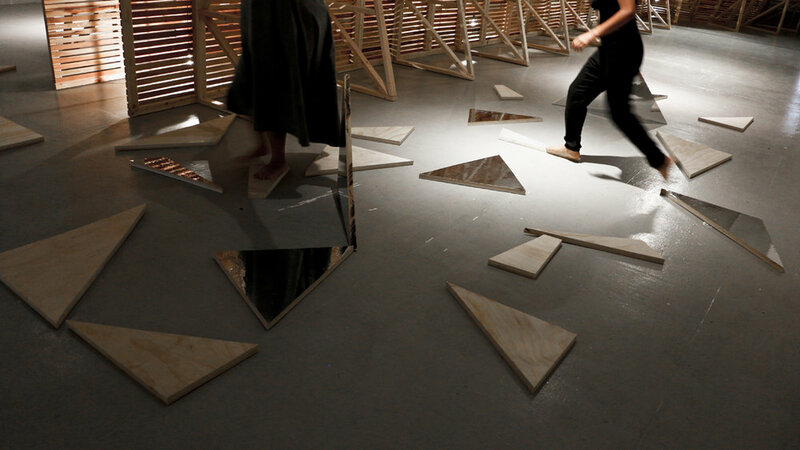 Throughout the performance a border is fragmented into its composing triangles and gradually moved by the artist and the participating audience to the other side of the gallery. 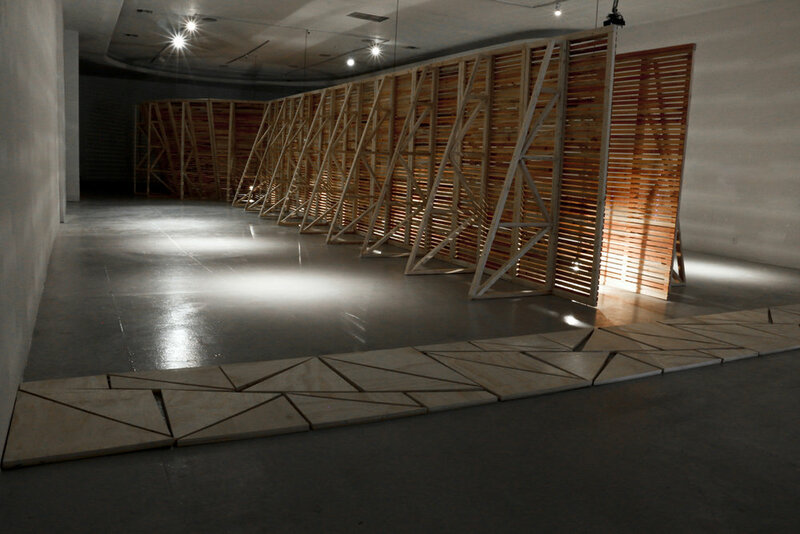 The shapes of the triangles reflect the negative spaces in the support structures of Jimena Sarno’s main installation at the gallery, and are initially arranged as a straight borderline in front of the main entrance to the installation. 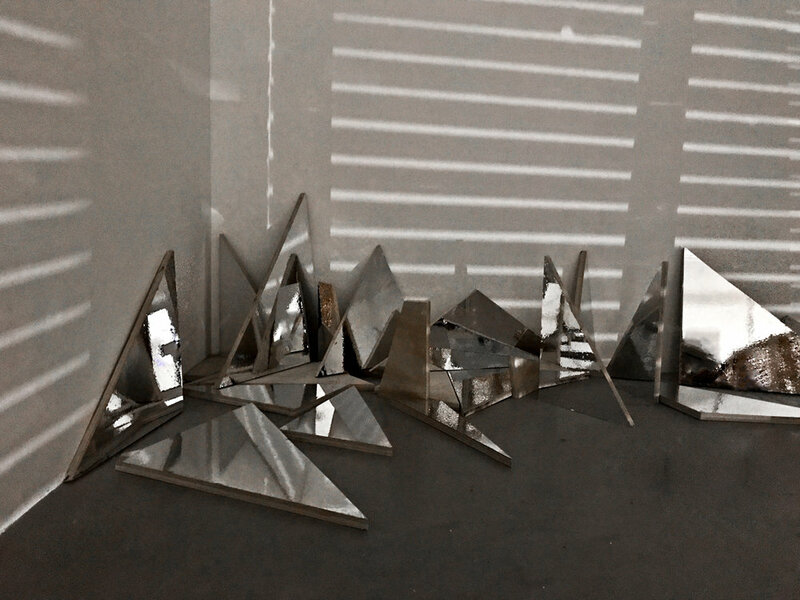 The participants are only allowed to move the triangles by rolling them on their sides, and without stacking them up, creating a constantly changing puzzle of voids and shadows.This ever-shifting landscape of negative spaces is made more elusive as each piece is composed of a reflective side exploring an unsettling and spontaneous journey through the room. 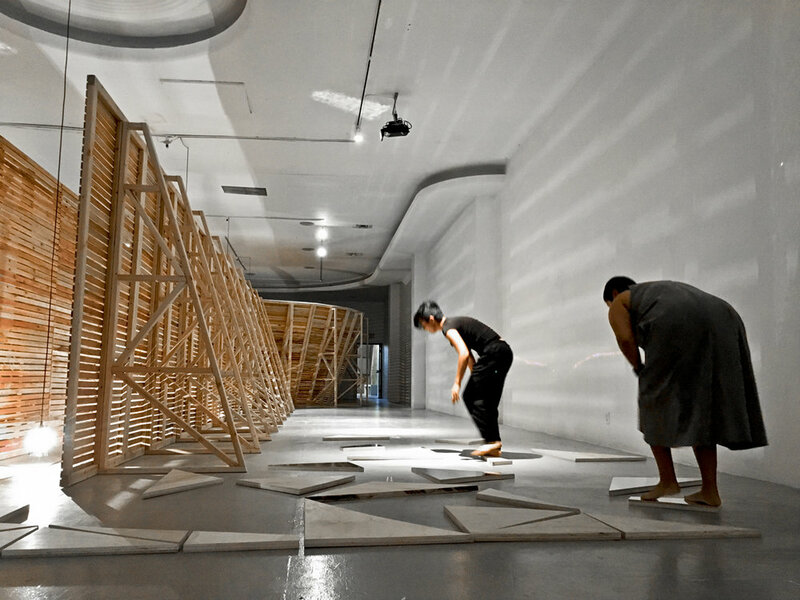 When the triangles reach the destination they may be placed against the back wall of the gallery in any position the participant decides. The performance is over when all the triangles have been displaced and put together at the end of the gallery. 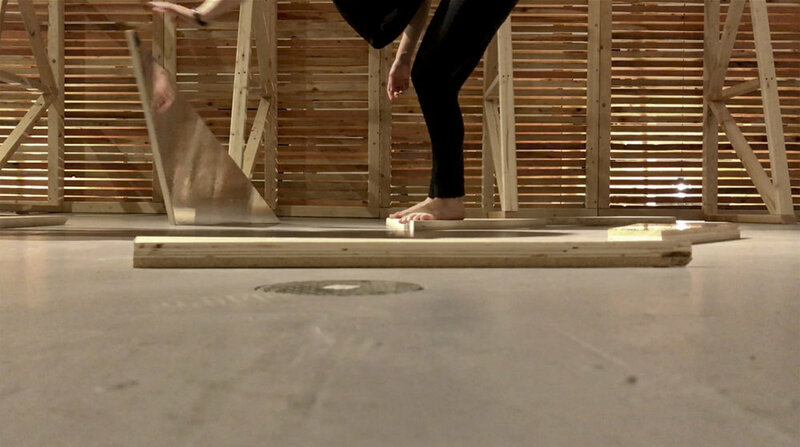 This performance-installation is part of Geometry of Exile performance series. تا بود، آب بود و آب، آبی بود و دوار بود. تمامش بازی بود، آب‌بازی بود. It was whirling and blue it was.